Finger-jabbing protest: Iain Duncan Smith talked over Owen Jones in his last Question Time appearance; this time the other panellists didn’t give him the chance. Around three-quarters of the way through tonight’s Question Time, I was ready to believe the BBC had pulled a fast one on us and we weren’t going to see Iain Duncan Smith get the well-deserved comeuppance that he has managed to avoid for so long in Parliament and media interviews. There was plausible deniability for the BBC – the Isis crisis that has blown up in Iraq is extremely topical and feeds into nationwide feeling about the possibility of Britain going to war again in the Middle East. The debate on extremism in Birmingham schools is similarly of public interest – to a great degree because it caused an argument between Tory cabinet ministers. Those are big issues at the moment and the BBC can justifiably claim that it was making best use of the time and the panellists (for example Salma Yaqoob is a Muslim, from Birmingham, who is a member of ‘Hands Off Our Schools’). But Auntie shouldn’t think for a moment that we didn’t notice the glaring omission on tonight’s agenda. With the Work and Pensions Secretary as the major politician on the panel, we should have had a question about his job but were fobbed off instead with non-items about ‘British values’ and whether parents should be arrested for allowing their children to become obese. That’s enough for some of us to read a right-wing agenda between the lines – an aim to avoid embarrassing Iain Duncan Smith. It seems that, even if Auntie’s twin-set is pink, her bloomers are blue. Blue-mers, if you like. By the time the fourth question came up, it seemed there would be no opportunity to analyse RTU (we call him Returned To Unit after his failed Army career) and his disastrous ministerial career. This question was: “After the Newark by-election, are we looking at the destruction of the Liberal Democrats?” Thank goodness some of the panellists realised this was their chance. 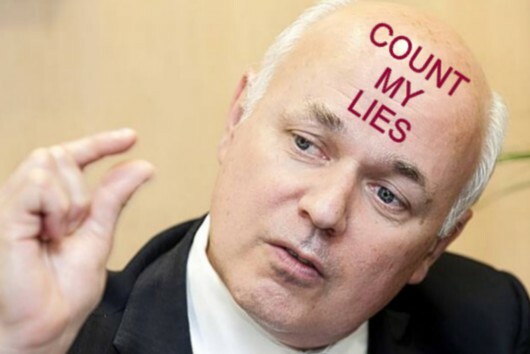 He was trying to hit a nerve; Duncan Smith’s department has been accused of trying to mislead the public on the reason food banks have been springing up all around the country – and it was very recently alleged that senior figures in the government had warned food bank charity the Trussell Trust to stop criticising government policy or be shut down. Salma Yaqoob pointed out that, thanks to the Conservative-led coalition (and, because he’s the Work and Pensions secretary, Duncan Smith’s policies), “13 million people are now below the poverty line and one million are suffering the indignity of having to use food banks. 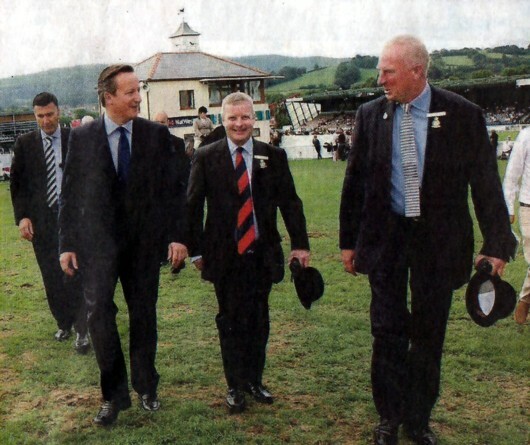 Duncan Smith was interrupting from the background to claim that he had never called benefit claimants scroungers. Feel free to go to your favourite search engine right now, type in “Iain Duncan Smith scroungers”, and see for yourself whether his name has ever been associated with the word. He went on to invite anybody who cares about this issue to the demonstration in London by the People’s Assembly Against Austerity, on June 21. It was sad that the great satirist Ian Hislop did not take an opportunity to make a few sharp observations – especially as commenters to this site have made it clear that they contacted him to request this action. He addressed himself to the question he had been asked and I make no comment about that; you can draw your own conclusions. It didn’t happen the way this writer would have wanted, but the job got done anyway. 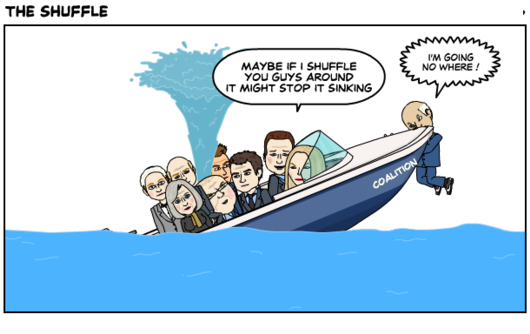 Expect multiple attempts by the right-wing press to salvage the situation – all doomed to failure. Last week, Vox Political stated that there was an opportunity here to show the public the homicidal – if not genocidal – nature of the changes to the benefit system this man mockingly describes as “welfare reforms”. It is a testament to the ineptitude of Work and Pensions Secretary Iain ‘Sunken’ Smith that his flagship scheme has been sent back to square one – listed as “reset” by the government organisation responsible for grading its progress. Mr… Smith (otherwise known as RTU or Returned To Unit, in tribute to a lifetime of failure) is determined that Universal Credit – which rolls all the major benefits into a single payment which the government can manipulate to make life extremely uncomfortable for claimants – will be his legacy; the achievement that marks him out for posterity. Well, it will certainly remind us all of the man’s nature. Universal Credit has been beset with one false start after another and remains capable of handling only the simplest of tasks while promising miracles – and when it fails to deliver, its faults are explained away with implausible excuses. The latest is that the Major Projects Authority (MPA) assessed the project last September and its judgement is out-of-date because there has been progress in implementing the scheme through pilot projects in Job Centres. That seems about as plausible as RTU’s claim that the scheme has not written OFF £140 million of taxpayers’ money; instead the cash has been written down (meaning, it seems, that the value of the investment has been downgraded in the same way your computer is worth less now than the amount you paid for it – “the amortisation of cost over a period of time”). That’s not an acceptable answer as the money has still been spent. Alternatively, you may wish to consider cabinet colleague Francis Maude’s claim that UC implementation has been “pretty lamentable”. 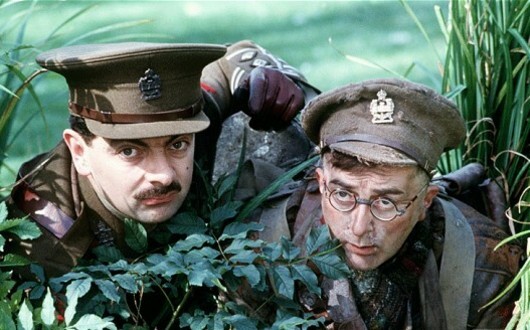 The Secretary-in-a-State said this was a reference to a time before he made emergency changes to the project; changes that he did not mention to anybody – even the Commons Work and Pensions select committee, when it was investigating the project, maintaining that all was well. In fact, this latest excuse is also among the oldest in Mr… Smith’s arsenal; it was used last year in response to the rating UC had received at the time. The MPA rates major schemes according to a ‘traffic light’ system – green, amber or red. Universal Credit was previously marked as amber/red, meaning it was in danger of failure. You won’t get any prizes for guessing which one! The bad news is that, despite everything, Universal Credit remains an ongoing project and will therefore continue to haemorrhage taxpayers’ pounds – that’s your hard-earned shekels – by the million. The good news is that we can look forward to more media humiliation for Smith himself. The man has caused more misery than anybody since Margaret Thatcher; it is right that he should face a little suffering of his own. A plan to sell the confidential medical information of every NHS patient in England has been put on hold after it caused a public outcry. The care.data system, also called variously the General Patient Extraction Service (GPES) or the Health and Social Care Information Centre, was dreamed up as a money-spinning device by Jeremy Hunt’s Department of Health. The aim is that, if you are an NHS patient in England, your GP will be forced to provide your confidential records, showing every medical condition you have ever had and providing intimate details of your current state of health, to a huge national database. From there, your information may be sold on to private healthcare and pharmaceutical companies for “research”. 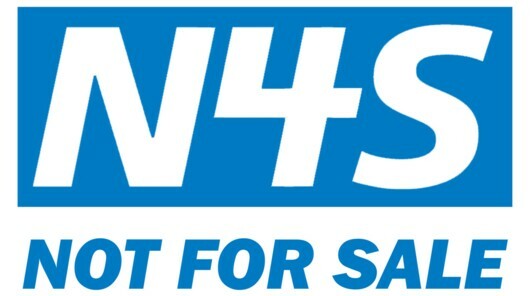 A new proposal backed by NHS England (a body set up largely to support the increasing privatisation of the NHS, if my information is correct) would give non-NHS bodies including private companies the right to ask for access to the data. The government has said the information would be “pseudonymised”, in an attempt to reassure you that you cannot be identified from the information to be provided to outside organisations. This is not true, and in fact it will be entirely possible to trace your medical information back to you. The government claims the information will help experts assess diseases, examine the effects of new drugs and identify infection outbreaks, while also monitoring the performance of the NHS. In fact, it seems far more likely that this is a widespread invasion of privacy, with the information likely to be used (for example) to sell you health insurance that you should not need. We are told that NHS England organised a mass mailing to every household in England, explaining its version of what the planned system will do – but a BBC poll of 860 people last week found that fewer than one-third of them could recall receiving it. Concern that people are likely to end up allowing their information to go into commercial hands without ever knowing about it has led to the scheme being halted – for the time being. NHS England has accepted that its communications campaign must be “improved”, although we do not yet know how. A propaganda campaign on TV and radio seems likely. Every NHS patient in England has the right to opt out of the data sharing scheme, and many have already chosen to do so. You can do it right now, using a form designed by the medConfidential website. While NHS England and the Department of Health will continue trying to justify this scheme, there is no justification for selling your private information to commercial organisations. It is to be hoped that this six-month pause will end with the abandonment of the scheme. If the organisations that want the information genuinely intend to use it for humanitarian concerns, it would be fully anonymised and they would not be buying it. Vox Political does not want to sell your information. 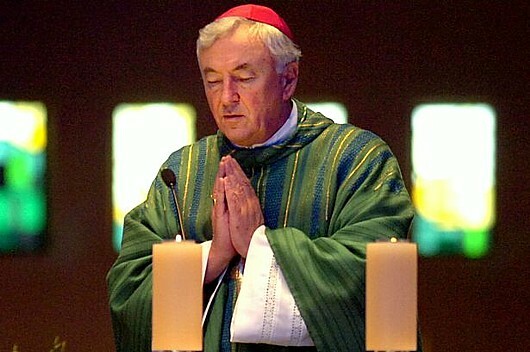 Does anybody else have the feeling that Vincent Nichols, the Roman Catholic Archbishop of Westminster, was only waiting for the Pope to name him a Cardinal-designate before sinking his teeth into the UK’s Conservative-led Coalition government? One gets the impression he feels secure that the new position means his words now carry sufficient weight – and they are weighty words indeed. “People do understand that we do need to tighten our belts and be much more responsible and careful in public expenditure,” said the Archbishop to the Telegraph. “But I think what is happening is two things: one is that the basic safety net that was there to guarantee that people would not be left in hunger or in destitution has actually been torn apart. “It no longer exists and that is a real, real dramatic crisis. “And the second is that, in this context, the administration of social assistance, I am told, has become more and more punitive. 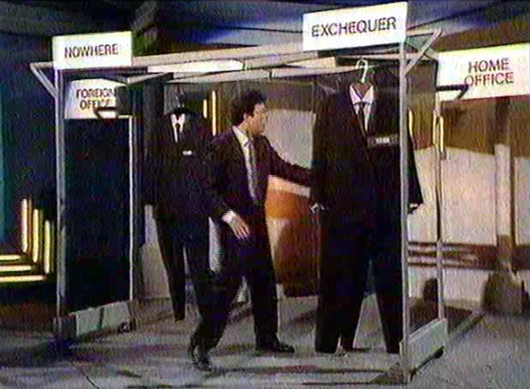 “So if applicants don’t get it right then they have to wait for 10 days, for two weeks with nothing – with nothing. “Hunger”, “destitution”, “crisis” – “a disgrace”. You cannot accuse this man of mincing his words! They come almost a year after the (Anglican) Archbishop of Canterbury, the Most Reverend Justin Welby, together with the Archbishop of York and 43 bishops, launched their own attack on changes to social security, saying they would have a “deeply disproportionate” effect on children and families. Mr Welby had himself only recently taken the Church of England’s most senior office. Speaking to the Telegraph on March 9 last year, 12 days before his enthronement, he said: “As a civilised society, we have a duty to support those among us who are vulnerable and in need. When times are hard, that duty should be felt more than ever, not disappear or diminish. “It is essential that we have a welfare system that responds to need and recognises the rising costs of food, fuel and housing. The Department for Work and Pensions laughed off Mr Welby’s concerns. But Iain Duncan Smith, the Secretary of (or “in a”) State for Work and Pensions, is – or is at least supposed to be – a devout Catholic. How could he ignore such harsh criticism from the most senior member of his Church in the United Kingdom? Iain Duncan Smith has not deigned to respond. 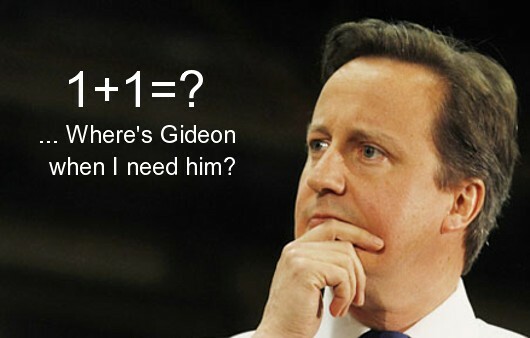 Perhaps he has a belief – he does seem to rely on them a lot, now, doesn’t he? – that he is doing more for the people of this country than the Archbishops. There’s a word for this condition that’s slipping my mind for a moment… no – I’ve got it. A ‘Messiah’ complex – a state of mind in which an individual holds a belief that they are, or are destined to become, a saviour. 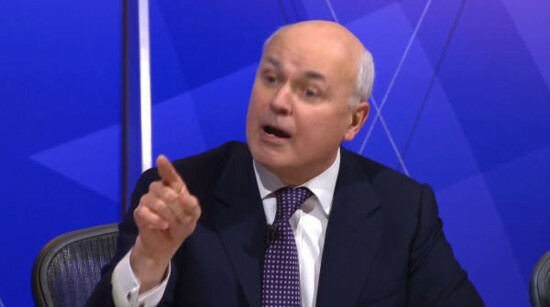 ‘Messiah’ trumps ‘Archbishop’ so IDS has chosen to ascend above the debate, leaving its resolution to his trusty DWP spokesperson, who came out with the usual lies. “Our welfare reforms will transform the lives of some of the poorest families in our communities with Universal Credit making three million households better off and lifting hundreds of thousands of children out of poverty,” wittered the spokesperson. To disprove these words, let’s turn to the Joseph Rowntree Foundation, the social policy research charity that seeks to understand the causes of social problems, identify ways of overcoming them, and show how social needs can be met. This organisation has stated – repeatedly – that Universal Credit in its current form will create “increased risks of budgeting problems, debt, arrears and ultimately financial exclusion”. The same organisation quotes research from the Institute of Fiscal Studies (IFS) which states that, under current Coalition government policies, rather than hundreds of thousands of children being lifted out of poverty, by 2020 more than one million more children will be in poverty than when the Conservatives and Liberal Democrats slithered into office by the back door in 2010. So who do you believe? Come to that, what does Iain Duncan Smith really believe? But we know that Iain Duncan Smith has inflicted £28 billion of cuts on people receiving benefits from his Department for Work and Pensions. If another IFS statement – that this represents only two-fifths of the Coalition’s cuts plan – is accurate, then the total amount he’ll want to cut is a staggering £70 billion. And he wants his people to talk about the money he’s spending, rather than the effect he’s having. So, what does he believe? Vox Political is glad to see the churches engaging in social issues. Churches rely on collections from the faithful – and so does this site. Will the government really penalise GPs whose patients opt out of data sharing? It seems the government has found a way to dissuade GPs from letting patients opt out of having their medical records sold to private firms – the threat of penalties or even an investigation into the way they run their practice. Vox Political revealed earlier this month that the government is planning to make a profit from selling the private records of NHS patients in England to healthcare and pharmaceutical firms. The records are said to be ‘anonymised’, but in fact anyone buying your details will be able to identify you. The system, originally called the General Patient Extraction Service (GPES), now the Health and Social Care Information Centre, may also be described as the care.data scheme. Health Secretary Jeremy Hunt wants you to think the information will be used for medical research and screening for common diseases, but in fact it could be used by private health companies as evidence of failures by the National Health Service, and could help them undercut NHS bids to continue running those services – accelerating the privatisation that nobody wanted. Patients have the right to withhold their data, but they must specifically inform their medical practice of their wishes. This is why medConfidential created a web page containing a special opt-out form, along with a form letter in various formats, allowing patients to opt out themselves, their children and any adults for whom they are responsible. 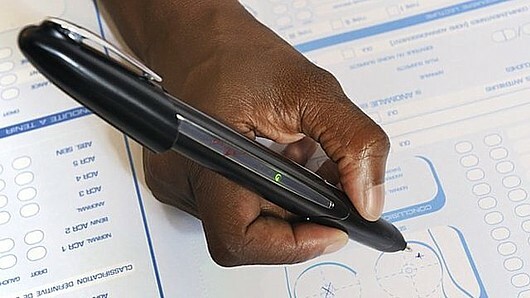 Now GPs are living in fear of reprisals if they don’t deliver enough details to the new system. According to GPonline.com, Health minister Dr Daniel Poulter failed to rule out penalising GP practices with a higher-than-average proportion of patients opting out of new NHS data sharing arrangements. In a written answer to Labour MP and health select committee member Rosie Cooper, Dr Poulter also refused to say what level of patient opt-out from the scheme would trigger an investigation. Ms Cooper took this as an admission that GPs were “being threatened and bullied into ensuring patients don’t choose to opt-out”. None of this offers a good reason for you to leave your medical records unprotected – in fact, it gives you more reasons to opt out than before, and might provide GPs with the excuse they need to retaliate. Doctors have been pushed further and further by the Conservative-led government’s changes to the NHS. For example, they were told they would have a greater say in where the money went, as members of Clinical Commissioning Groups (CCGs), but that was not true – they don’t have the time to take part in such decisions so they have been handed over to firms that are often part of the private companies now offering services to the NHS (for a price). Now they are being told they may face reprisals if they do not betray the principle of doctor-patient confidentiality. But you can only push a person a certain distance before they push back. How will NHS doctors in England respond? Vox Political supports the National Health Service. The site needs funds if it is to carry on doing so. Are you happy for big business to have your confidential medical records? Do you live in England? Are you an NHS patient? Have you realised that your Conservative-led Coalition government is selling your medical records to private healthcare and pharmaceutical companies? Do you know that these ‘anonymised’ records are in fact nothing of the sort, and anyone buying your details will be able to identify you? Do you want to do something about it? It isn’t too late. Vox Political warned last September that Health Secretary Jeremy Hunt is planning to sell records to “approved” private companies and also universities – that’s sell, mark you, to make money for the government. The system was called the General Patient Extraction Service (GPES) – although exactly who it serves is entirely up for debate. It seems to have metamorphosed into the Health and Social Care Information Centre by now, but the purpose remains the same. You may also see it described as the care.data scheme. Hunt wants us to believe that the information will be valuable for medical research and screening for common diseases. In fact, the information could be used by private health companies as evidence of failures by the National Health Service, and could help those companies undercut NHS bids to continue running those services – this would accelerate the privatisation that nobody wanted. This week, The Independent reminded us all that the system that will sell off your information will go live later this year. The article warned: “Companies like Bupa or Virgin that already hold data on UK patients may be able to use the new anonymous data available from the centre to precisely identify where it has come from, according to campaigners. The information for sale to profit-making firms will contain NHS numbers, date of birth, postcode, ethnicity and gender. Patients can opt out of the system by contacting their family doctor, but medConfidential has designed a form to make it easier. On its ‘How to opt out’ page, the organisation writes: “Under changes to legislation, your GP can now be required to upload personal and identifiable information from the medical record of every patient in England to central servers at the Health and Social Care Information Centre. Once this information leaves your GP practice, your doctor will no longer be in control of what data is passed on or to whom. “This information will include diagnoses, investigations, treatments and referrals as well as other things you may have shared with your doctor including your weight, alcohol consumption, smoking and family history. Each piece of information will be identifiable as it will be uploaded with your NHS number, date of birth, post code, gender and ethnicity. 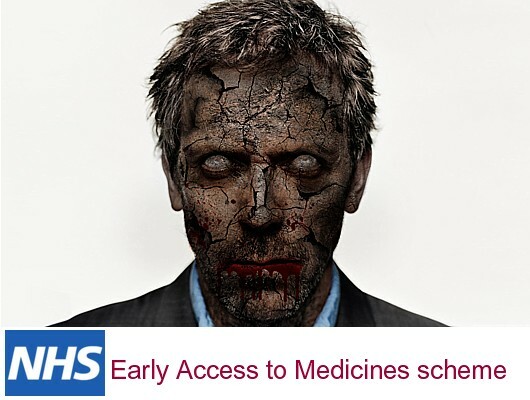 “NHS England – the body now in charge of commissioning primary care services across England – will manage and use the information extracted by the Health and Social Care Information Centre for a range of purposes, none of which are to do with your direct medical care. Though the official leaflets talk a great deal about research, these ‘secondary uses’ for which your data may be used include patient-level tracking and monitoring, audit, business planning and contract management. “In September 2013, NHS England applied to pass on your information in a form it admits “could be considered identifiable if published” to a whole range of organisations that include – but are not limited to – research bodies, universities, think tanks, “information intermediaries”, charities and private companies. The opt-out form is downloadable from the medConfidential web page, along with a form letter in various formats, allowing patients to opt out themselves, their children and any adults for whom they are responsible. This is a gross abuse of patient confidentiality for the purpose of commercial gain.